Why iPhone With 1GB RAM Performs Better Than Android Devices With 2GB Or More RAM? There is a lot of talk right now about Apple’s decision not to throw multiple gigabytes of memory at the iPhone 6 and iPhone 6 Plus, especially in light of how makers of Android smartphones tend to offer memory upwards of 2GB. Why, when some Android phones have up to three times as much memory, does the iPhone perform so well? That was basically the same question put to Quora, the social website that gives people a way to ask questions and then have them answered by people who are experts in their respective field. The upvoting system adds a spot of authority tracking to the answers that are provided, and we have a clear winner as far as the question around why Android phones have so much more memory than iPhones. The response, upvoted by over 2,600 people, included a handy graph and an explanation that involves garbage collection and Java. Basically, Android needs more memory because of the way it handles things. You can head on over to the Quora question and check out Glyn’s explanation yourself, but what it boils down to is this: Android apps use Java, and as a result Android does something called garbage collection which involves memory being recycled once applications are finished with it. That’s all well and good, and actually performs really well when given plenty of memory to work with. The problems arise when the system is starved of memory. 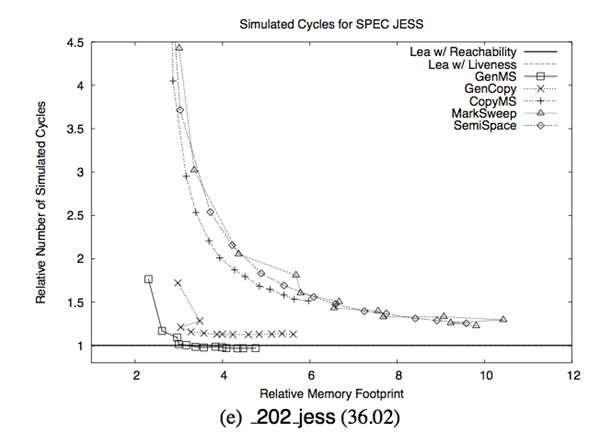 Using the diagram provided, Williams points out that garbage collectors are at their best when they have a relative memory footprint of 4 or 8. In effect, that means that Android needs 4 or 8 times as much memory as it’s actually using in order to perform its garbage collection duties. Reduce the amount of available memory, and things start to suffer greatly. So what about iOS? Well, it doesn’t use Android style garbage collection for starters, which means that it doesn’t need all the extra memory associated with Java and Android. Apple designed iOS to need the memory that it’s using rather than have extra memory set aside for something like garbage collection and as a result iPhones don’t need to be packed to the gills with memory chips. If you’ve ever wondered why those beefy Android phones still stutter when they have a few apps open and you try and open a menu, then this explanation is one, not all, of the reason why. And if Android only made one phone, once a year, they would have the same problem. You get choice with Android. IOS, not so much. This was explained years ago and it has nothing to do with java or garbage collection. IPhone has a dedicated thread that handles animations (Core Animation). Android does not and has never had an animation thread. Doesn’t matter how many cores or how much memory you cram into an Android phone it will still stutter occasionally. They do it poorly if switching to another app causes microstutters. Why wipe cache when ART does your compiling once and for all? Won’t work anymore. And uh, please tell me what apple device NEVER lags. IPhone 6 doesn’t lag or stutter. I’ve used one and didn’t see any. Also, explain how core animation doesn’t separate iPhone from Android. Maybe you should read up on how Android handles UI animations. Android Lollipop does indeed stutter. Sorry if that hurts your feelings. It’s the truth. iphone 5 released in September 21, 2012.
phonearena gave note 4 9 and iphone 6 plus 8.67 and actually Note 4 was the number one. but how easy to root Android than Iphone the second day you get it rooted. iphone sometimes months and you still don’t have much control. Apple’s component orders from Samsung were set to hit around $10 billion in 2012 and it’s increasing. most iphone parts is made by Samsung cpu your retina screen and internal parts so when you buy iphone or ipad you are buying part of Samsung. sounds like Samsung hurting for cash to me. what! with a jailbroken iphone the possibility are end less, Youtube it, updates everyday if you like the tweak. You don’t get it. That didn’t really matter in 2010. Yes LTE was faster than 3G and 4G but there are networks out there, that on 4G get 50MB+ both download and upload speeds. Just because your the first to adopt a technology doesn’t make you the best. Apple has never been the first to really do anything but they have been really good at trying to find use for thing to the best of its ability. For example  pay, not the first for NFC capabilities but adoption rate has been over 1 million users in the first 72 hours. And retailers have seen 200% growth in mobile payments. Again camera specs are only a fraction of what cameras do on smartphones. Google it, does mega pixels give me higher quality photos. You’ll see what I mean. Just because a number from 9 to 8.67 is thrown out by people doesn’t make the phone better. Performance is what matters and what as a consumer you want. You can use android phones and love it and I’ll use my iOS devices because I prefer them. I know about the jailbreak I use to be iphone fans and happy to leave it some time you will spend weeks to get it.The best of Android you only root it once. Iphone when ever you chance ISO you have to do it all over again the waiting and formatting. It’s kind of funny to see such debate over something as simple and unimpressive as smartphones. Honesty, other than having a much better camera and a fancier shell, I’m hard pressed to find anything about my iPhone 5s that gives it an edge over my crappy little $100 HTC One V. Certainly nothing about either product is worthy of excitement or debate. I use the iPhone 5s for business and the One V for personal use. Neither one of them are particularly impressive, but I like the fact that the One V does just about everything the 5s does, equally well, for 75-80% less money. 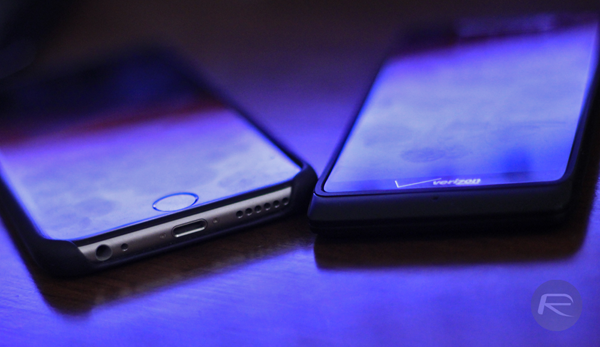 The One V’s Bluetooth audio is actually clearer and has a stronger radio signal than the 5s. The point is; my cheapest iOS device runs apps smoothly than what so called Android’s better hardware within the price range. The point is; my cheapest iOS device runs apps smoothly than what so called Android’s better hardware within the price range. If you’d spare me your Galaxy 2 or 3, will gladly take them. But I’ll spare my money for another Apple’s ecosystems witnessing how well one has served me. Let us know how smoothly iOS runs on a 4s. Open up a few apps and it’ll lag. Run it for a few days and go into settings and check out the crashes. Not entirely true. But for the most part yes, iOS Apps don’t multitask and I am very happy it’s this way. Because AirPlay, as far as I know, does not work with a BlueTooth headset for having phone conversations. You really think any device is never, ever, EVER going to lag? That’s why I call bs on you. Ya i know the article lol, that its about comparison of iPhone efficient usage with less memory with that of android memory hogs and its unused memory…. what i was claiming was complicated things is not meant for mobile(as mobile has less memory, storage, excess heating, more prone to wear and tear, … list goes on,… etc…) …. Cent review between note 4 and iphone 6 plus concluded that note4 is the best phablet in the would with or with out styles. I’ll counter with the year + older iPhone 4s. This was shipped the same time as the Galaxy Nexus. And where the Galaxy didn’t get Kit Kat, the 4s got iOS 7 and a year latter the 4s got iOS 8. We will see how your Nexus 4 holds up to the iPhone 5, but history is on my side that Apple gives longer OS support on it’s devices. Its just the company preference. U pay a amount double than us and u get the expected updates bout 2 yrs or more. So it wouldn’t be hard for the company to provide the update, but it shud be perfectly running without stutters and lags. And there the Google took a step back. My Xperia P comes with the bundled 2.3 and ends at 4.1 acc to 1.5 yrs upgrade plan. But I tend to continuously njoy CM 11 4.4.4 on my Xperia P without glitches and lags..
Why the Sony haven’t give the update beyond 4.1?? Simple, they produce 5x more devices than Apple every year. So they end up the upgrade cycle fast. And the discussion will go like this. Bla Bla n Bla. Android stutters often, not every so often. Why the Sony haven’t give the update beyond 4.1?? Simple, they produce 5x more devices than Apple every year. So its hell outta difficult to manage every device updates. So they end up the upgrade cycle fast. But the thing is, we tend to njoy 3GB Ram devices at nearly half the price of iPhone. And you spend the double money for update cycles. I’ll bet there is a point in there somewhere but who can figure out what you just said. So I’ll counter with what little I could figure out. 1) Resale value makes it such that the cost difference is minimal. 2) Every iPhone released is the performance leader and in real world tests it constantly shows to be the best or one of the best phones in virtually every category. So I don’t care if you have 2 or 3 GB of RAM if your OS requires 2GB more ram to make your phone perform well. If my Dual core A8 out performs your quad core whatever, I don’t care about the extra cores! But you buy what you want and I’ll buy what I want. This started by you saying Nexus phones are supported longer than iPhones and that is BS. I put my money where my mouth is. I’ve tried modded one which promised better speed to no avail. Back to stock of course have given me the same result. Suggesting me to buy something expensive is (IMHO) a desperate move. The only popular mobile OS I haven’t had yet is Windows mobile. I have experienced both in depth and find iOS to be satisfying while Android left me much headache. Wrong. VMs WILL ALWAYS RUN SLOWER. And iOS 8 on the 4s is slow as an average android phone.. I don’t really need this kind of “support”. I disagree. My son’s iPod Touch 5 gen (essentially a 4s) and my wife’s old 4s both perform well with iOS 8 and 8.1.1 have made things just that much better. What kind of multi task your talking about? Playing games while chatting with your friends and watching movies at the same time? At least Facebook or twitter on iOS doesnt require to open link in another app. It open in app itself. okay people, this eternal comparison won’t ever stop?